Fae Ray Whisnant of Snead Island in Palmetto, and Westminster Point Pleasant in Bradenton, passed away February 10, 2019 at Manatee Memorial Hospital. She was 98 years old and lived a long and full life. Hardworking, dedicated and personable, she will be missed by all who came to know her. Fae was born September 3, 1920 in the small farming community of Boyd, Texas to Walter L. Ray and Henrietta Crawford Ray. She was the youngest daughter of seven girls, and the family's one brother was born several years later. 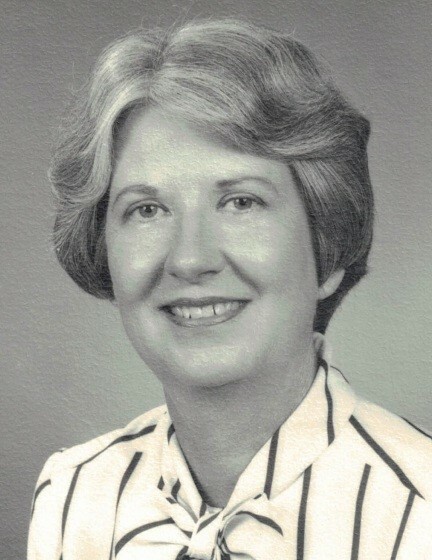 After graduating at the top of her High School Class she began working at the Brazos County Extension office in Bryan, Texas, being offered the position by her brother-in-law Frank Vance. She attributed this early opportunity, made possible by her sister Vonnie Ray Vance and brother-in-law Frank, as the catalyst for her lifelong success as a career woman. This led to a top position in the U.S. Department of Agriculture in Dallas where she met and made many lifelong friends. She also met her husband to be, Lt. Colonel Isaac E. "Ed" Whisnant in Dallas, and they were married on August 14, 1952. She and Ed embarked on an exciting life that included Army posts in the United States and abroad including Tokyo, Japan and Mannheim, Germany. Fae loved being a military wife and became President of the Officers' Wives’ Club in Ft. Hood, Texas and also in Mannheim, Germany. She enjoyed telling the story of bringing the Harlem Globetrotters to a base fundraiser in Ft. Hood. She was credited as being the first woman to ever sign a contract with the Globetrotters’ owner Abe Saperstein, as she loved to recount. Both of the couple's children were born on army bases. Son William was born in Indianapolis, Indiana at Fort Benjamin Harrison and daughter Sarah in Fort Hood, Texas. As an active family with two children, while stationed in Germany they travelled Europe on family vacations including a trip to the Vatican in Rome, countless castles and museums, windmills in Holland and a Bull Fight in Spain. After purchasing a Volkswagen camper bus, the family camped 17 days and nights driving across the Alps in Switzerland and down to the coast in Italy, among other trips. After retiring from Army life the couple returned to the States and moved to Gainesville, Florida where Ed attended Law School at the University of Florida. After graduation they moved to Bradenton in 1965. Over the years Fae enjoyed raising the couple's two children, and their beloved pet dog Bosco, and served in various community volunteer capacities including PTA and the South Florida Museum. Over casual party conversation her future Real Estate Broker Dan Blalock suggested she get licensed and become a Real Estate Salesman. She then began a successful 35-year career as a Broker-Salesman and Manager of the Residential Sales Division of Wyman, Green and Blalock. During her career as a Realtor, Fae rose to the top of her profession becoming one of the first female Presidents of the Manatee County Board of Realtors. She was selected as "Realtor of the Year" two years in a row and served and chaired on many committees including the By-Laws Committee as Chairman for 12 years. In 1985 she received the President's "Special Service Award" for outstanding Realtor and was cited for her contribution to the Real Estate profession. Fae served the Presbyterian Church as a member and Chairman of the New Church Development Committee of the Presbytery of Southwest Florida, and ultimately was elected to serve as Moderator for the entire Southwest Florida Presbytery, which is the highest attainable office in the organization. Upon retiring, Fae and Ed moved to their beloved property on Snead Island in Palmetto where she continued her passion for gardening and tending her beautiful yard and lawn overlooking the Manatee River. Following the death of her husband she enjoyed several more years on Snead Island before moving to the Towers at Westminster Point Pleasant, and then to the Health Center there, where she resided the rest of her life. She was a sustaining member of the Junior League of Manatee County, a past member of the Bradenton Country Club and a past member of the Bradenton Yacht Club. Very well-informed, she enjoyed current affairs and was an avid reader including two daily newspapers and three national monthly news magazines. She is predeceased by her husband Ed Whisnant, and all her sisters and their one brother. Survivors include her son William Robert Whisnant and daughter Sarah Ray Whisnant, both of Palmetto, her grandson James Edward Deans of Sarasota, and many beloved nieces and nephews. The family would like to say a special thank you to all her caregivers at Westminster including the dietary department, nursing staff and Ebony, Shelly, Herlinda and Nurse Lisa and Nurse Andrea.